The multinational chemical distribution company known as The NRC Group has repositioned its brand and is now operating under a uniform name: Nordmann. This step is part of a new and holistic, future-oriented strategy that the distributor of chemical and natural raw materials – as well as specialty chemicals – has taken up in response to changes in the global market. The new corporate strategy entails that in future, all of its associated companies will be presenting themselves under one name: Nordmann. With the shared slogan “Knowledge in action”, a new logo and a revised, universally applied corporate design scheme, the aim is to give the company a more modern, dynamic and uniform appearance in order to increase its visibility on the market. The group’s flexibility and local operations will remain unchanged, as each of Nordmann’s 26 companies is keeping its independence and organizational structure. In this way Nordmann remains a strong partner who is economically independent and long-term oriented. Nordmann’s core business continues to be the distribution of chemical and natural raw materials in addition to specialty chemicals. What is new, however, is the goal of emphasizing and making more of Nordmann’s international presence. 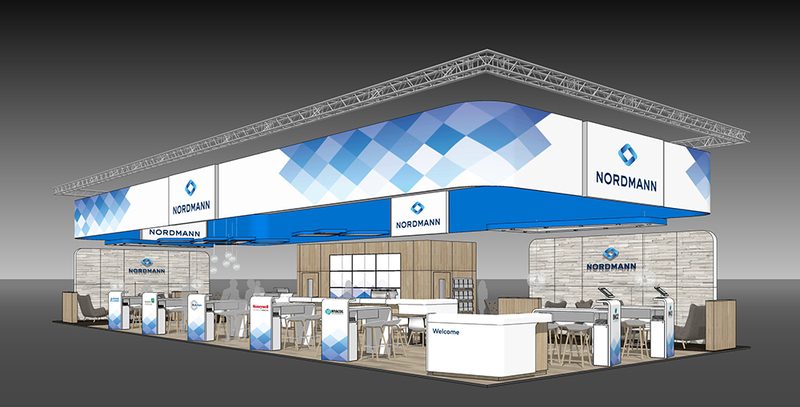 Nordmann’s revamped and universal look will better highlight the connection between all of its subsidiaries and the resulting advantages this has in store for business partners.